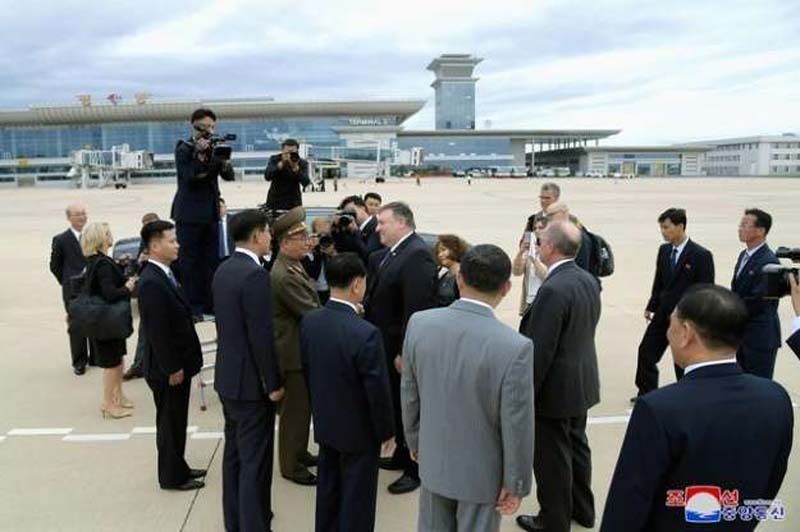 U.S. and North Korean officials have set up working groups to deal with “nitty gritty stuff” including verification of efforts to achieve denuclearization, a U.S. State Department spokeswoman said on Saturday, the second day of Secretary of State Mike Pompeo's visit to Pyongyang. [post_ads]The spokeswoman, Heather Nauert, said Pompeo's discussions with North Korean officials included the repatriation of the remains of Americans who died in the Korean War in the 1950s in addition to denuclearization issues, according to a pool report by reporters accompanying Pompeo. Pompeo left the negotiations venue to make a secure phone call to update President Donald Trump on the talks, the report said. At talks with Kim Yong Chol, a top official in North Korea's ruling party who had already met with Pompeo in New York, Pompeo said as he headed into the meeting that the aim of the United States was for "complete denuclearization" of the North. Kim did not comment on the issue of denuclearization, saying only that there "are things I have to clarify." The Trump administration has said that if North Korea abandons its nuclear weapons program it could become a rich and successful country. While there have been no nuclear or missile tests since the Singapore summit between Trump and North Korean leader Kim Jong Un last month, satellite imagery shows upgrades to the country's Yongbyon nuclear plant.